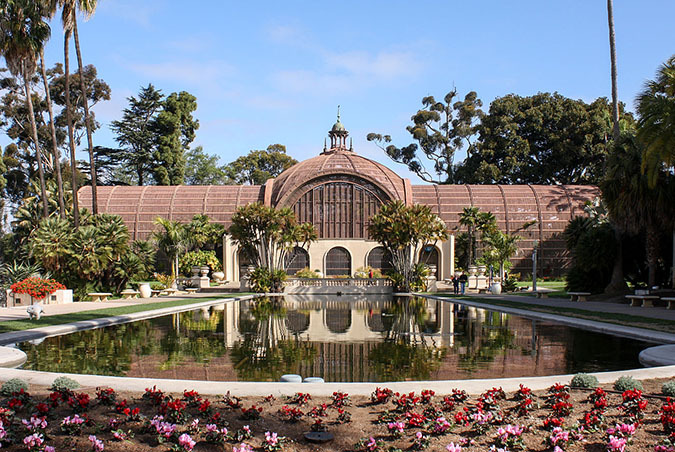 Here are the second 5 of my top 10 massive U.S. city parks. –I have to have personally spent time in the park. –It has to be larger than 100 acres. –It cannot be a national park or monument. One of the oldest city parks in America has just about anything you’d want in your local park—fields, trails, restaurants, a zoo, theatres, museums, beautiful Spanish architecture, even a hospital close by if you get injured. Sitting in this park at dusk, I could have closed and opened my eyes to find myself in a modern Mediterranean paradise, such is the feel of this park. Oh, and it’s a whopping 1,200 acres. Most parks that are a few hundred acres are called large. Any park around 1–2 thousand acres must be considered gargantuan. That said, Forest Park is in a category of its own. 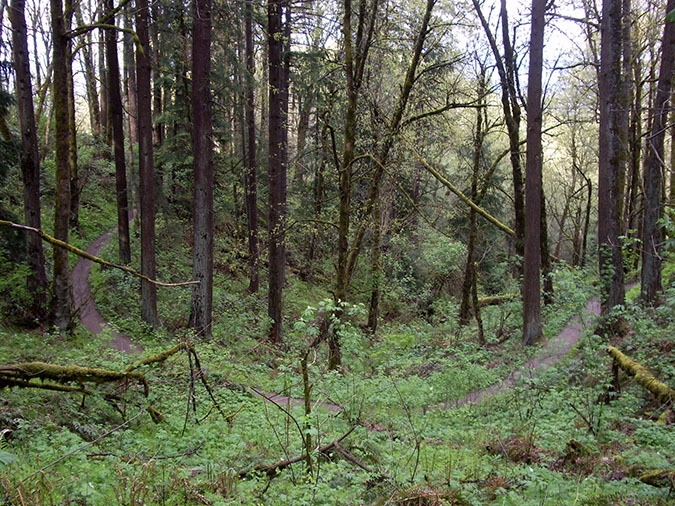 Cutting eight miles through the city is this 5,000+ acre park that holds enough trails for even the most avid hiking enthusiast. There’s not much to say about this park other than that it’s like a national park within city limits. Portland officials have helped create 10,000 acres of park space in the city. Kudos to them; and Forest Park is the crown jewel. You don’t plan to go to Ohio, you’re either born there or you have to drive through it and for some reason you end up staying. Or so I was taught, growing up in Michigan. The fact is, parts of Ohio are pretty beautiful. And Dayton is no exception. They have a number of brilliant parks scattered throughout the city, but Eastwood MetroPark (437 acres) is my favorite. It’s the perfect place in the city to get away from busyness—with a tree canopy that makes sure you’ve always got shade, a river and streams that segment the patches of deep-green grass, and the lake that abuts the property. 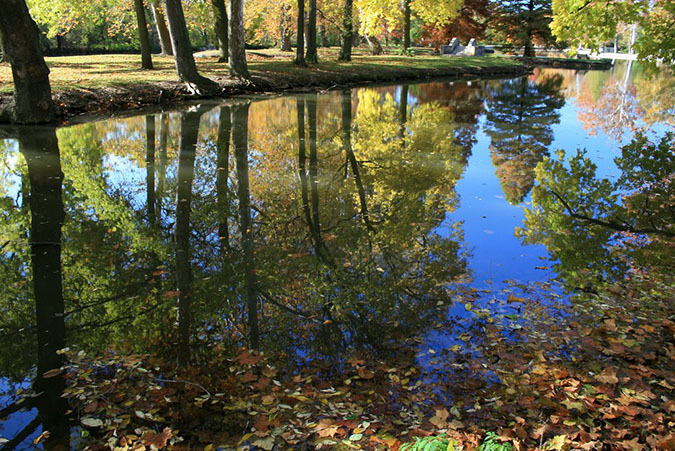 This 319-acre park has heaps of lawns, gardens, and some beautiful fountains. Music-lovers annually find solace (and dancing) at Lollapalooza Music and Grant Park Music Festivals. The Art Institute of Chicago, Shedd Aquarium, and the Field Museum also adorn this magnificent park—for anyone interested in continued learning. To boot, there’s little better to me than a park that sits on the side of Lake Michigan—a lake so large it is essentially a freshwater ocean. No salt. No sharks. Mellow waves (unless there’s a storm). The park is nourishment to the soul. 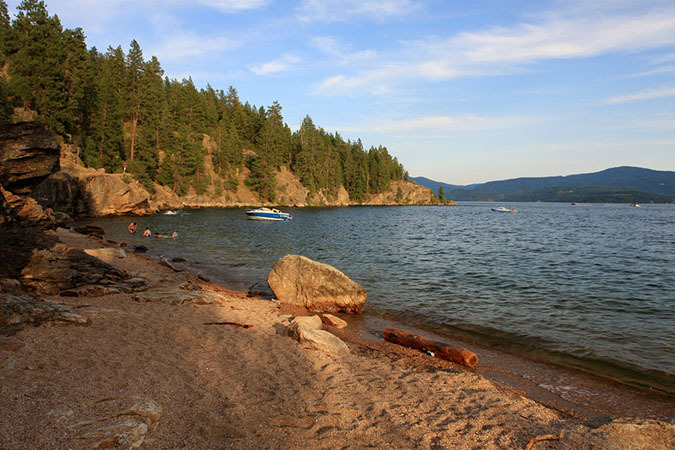 These three gems are adjacent to one another in downtown Coeur d’Alene, set majestically on the lake that bears the same name. Together, they are 150 acres of beautiful lakeside respite for the sleepy city of 45,000 people. The parks act as a pressure outlet for the city 7 days a week, as if it were large enough to need it. There is a sand beach, a dock with a fleet of boats, and a hill full of forests, rock outcroppings, and amazing views once you get to the top.